Attorney-at-law Chandra Sohan was yesterday cleared of all charges that were made out against him, whereby it was alleged that he had perverted the course of justice by persuading a witness in the murder trial against Marcus Bisram and others, to recant his story. He was also accused of telling the witness, Zubair Ally, what to say. The charges were dismissed by Magistrate Alex Moore at the New Amsterdam Magistrate’s Court. In submissions submitted to Magistrate Moore at the conclusion of the Prosecution’s case, the Defence team had stated that there was no evidence that pointed to any wrongdoing on the part of Mr. Sohan. His Counsel, Sanjeev Datadin, said that it was clear that Ally made a statement to the Police in the very beginning of the investigation that corresponded with his evidence before the Magistrate. In an invited comment Sohan said he always knew he would be vindicated and that he had done nothing wrong. 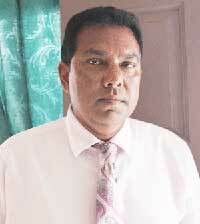 Sohan was dragged before the court and slapped with a charge of attempting to obstruct the course of justice in the preliminary inquiry (PI) of the murdered carpenter, Faiyaz Narinedatt in June 2018, and was represented by a team of lawyers lead by Datadin, and included Mursaline Bacchus, Ryan Crawford and Horatio Edmondson. In October 2017, Sohan was arrested, based on statements that were given by a suspect who was detained. The eyewitness had reportedly identified Sohan as the individual from the legal fraternity who influenced him to persuade another witness to change his story. The witness reportedly was told to tell the court that the police had forced him to sign the statement. Sohan had denied the allegation at that time. Also, in July 2017, Sohan was arrested at the Springlands Court for attempting to pervert the course of justice.